Synopsis: Fan Hindi movie is directed by Maneesh Sharma and Shahrukh Khan acts in lead role. Movie is produced by Aditya Chopra and is scheduled to release on 15th April 2016. 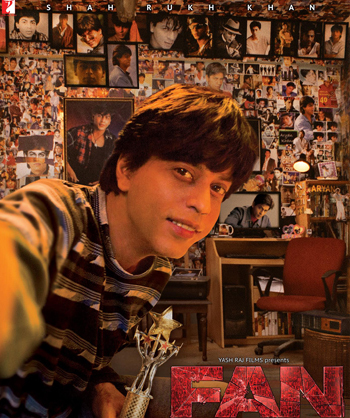 FAN is the story of Gaurav ( Shahrukh Khan) whose life revolves around Aryan Khanna a mega star. Gaurav embarks on a journey to Mumbai in order to wish Aryan on his birthday. The story is about how Gaurav’s love for the mega Star gradually turns into obsession.